With Multishop Extension Magento Odoo Bridge, manage a multi-store in your Magento with multiple shops on your Odoo. This module maps Magento stores with Odoo stores and provides information about every store. This extension depends on our Odoo Bridge for Magento (MOB) module. It works very well with latest versions of Magento 2.x and latest versions of Odoo. Maps all the store website with Odoo Pricelists. During product synchronization, product website price syncs in corresponding Odoo pricelists. 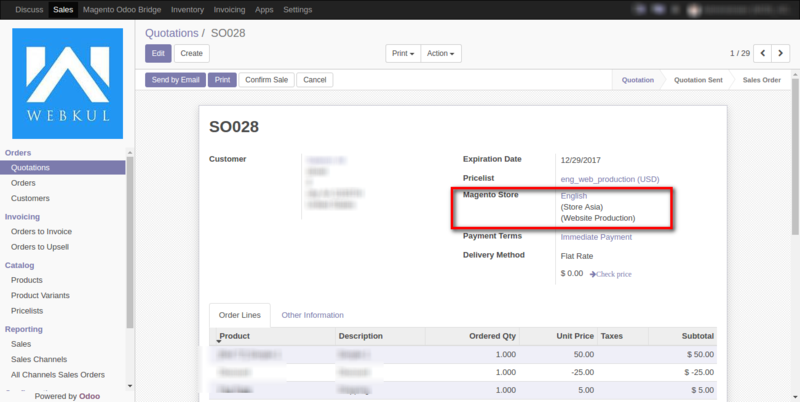 Odoo manages the orders according to the Magento shop from which shop order has been placed. Multiple orders are managed at Odoo end of every Magento Shop. After the installation, Let’s see how it functions. First of all, Activate the developer mode to configure the settings. Set “Magento Store” language as per your preference. Use same language for your Magento Store. 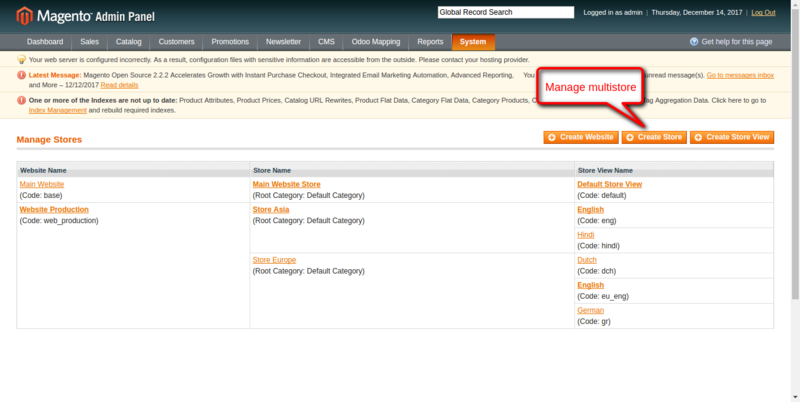 Click on “Create store” to manage multiple stores at Magento end. 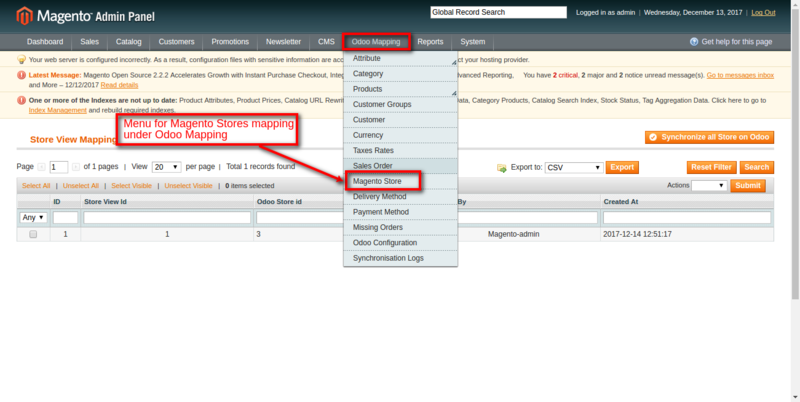 Click on “Odoo Mapping” to see the mapping of Magento stores under Odoo. 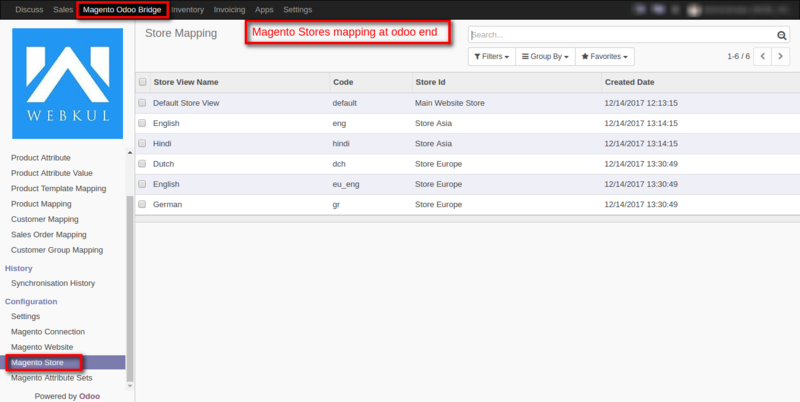 It shows the mapping of Magento store at Odoo end. Generate Pricelists by enabling “Auto Pricelist Generation” option during Magento store synchronization. Note– Every website should be linked to price- list. 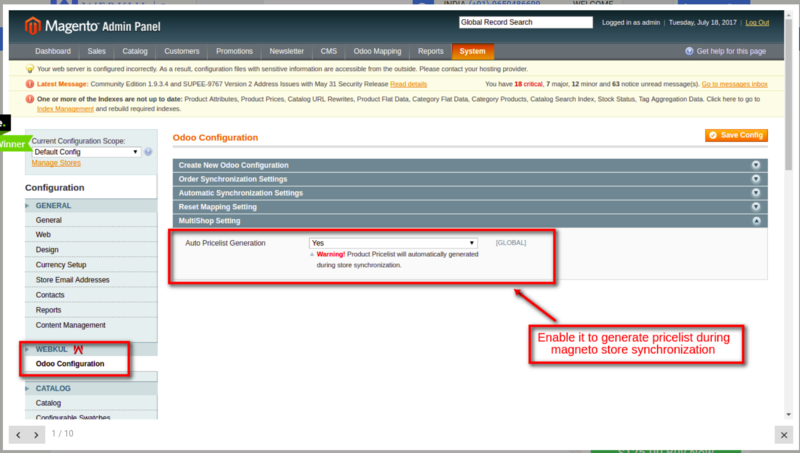 Enable settings for pricelists Magento end to automatically link to the website during store synchronization. Else create pricelist manually. 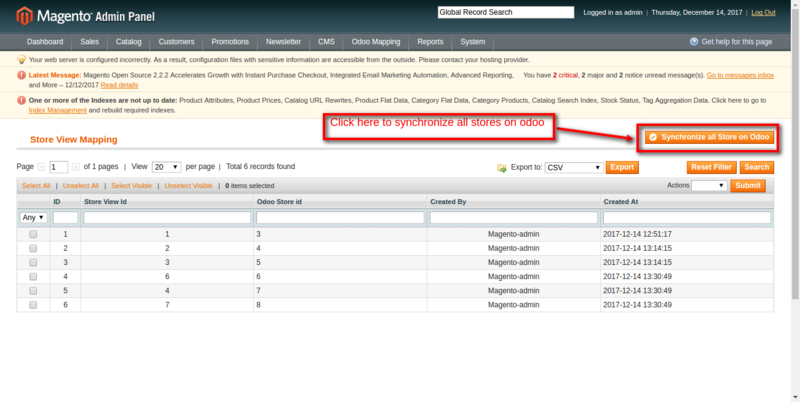 Click on“Synchronise all Store on Odoo” tab to synchronize all the stores from Magento to Odoo. 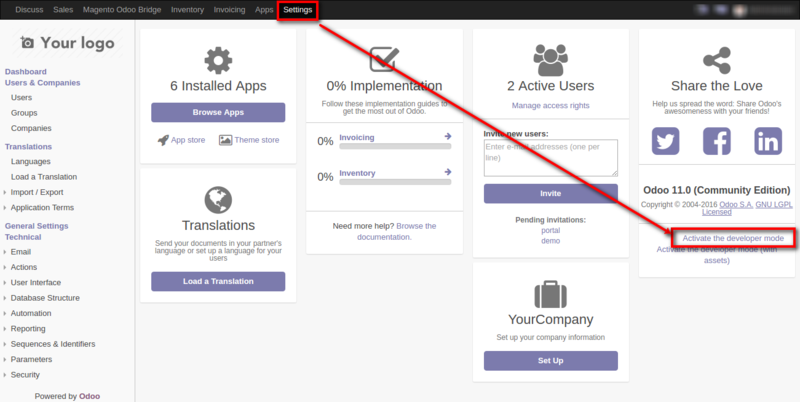 Click on “Magento Odoo Bridge” to see the mapping of the stores done at Odoo end. Select the multistore options for the corresponding store view.